Another of Rome’s Shopping Outlet villages is Fashion District who claim to be Italy’s largest shopping project. 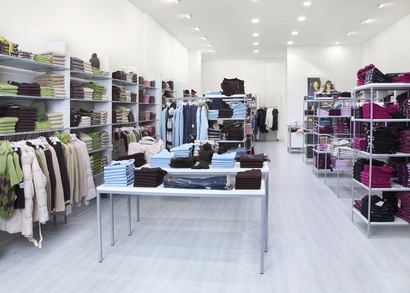 Fashion District has a network of Factory Outlet Centres in Valmontone, Montova and Molfetta. The Fashion District concept is to create the feel of a small town centre, with the emphasis of integrating into the surrounding environment. Valmontone is one of the main towns in the outskirts of Rome and the outlet is about 40 km away from the capital, on the Roma-Napoli artery in the “Roman Hills” area. This Outlet opened back in December 2003, has 150 shops and with parking space for 3,000 cars. An extra 30 shops were to have opened last September bringing the total outlet surface to 45.000 sq metres. There’s plans to open theme parks, hotels, sports facilities and conference centres in 2010, making this an integrated tourism area. Unlike Castel Romano, there is public transport to Valmontone. Before you make the 40 km dash out to Valmontone, you should check and compare the shops in Fashion District with Castel Romano. Fashion District has more local and mid-range labels and is more a Factory Outlet whereas Castel Romano is a Designer Outlet where you can find the big names on the international fashion scene. It really depends on what you’re after, but you wouldn’ want to make your way to Valmontone only to find that the designer names that you’re after are not there. Cost of the ticket: 5.00 Euro return and free for children under twelve years old.